Hello and welcome to our blog! I'm Caroline, he's Mark, and we have four little boys - Jack, Harry, Charlie and Oscar. This blog chronicles our adventures in transforming our house into a home. 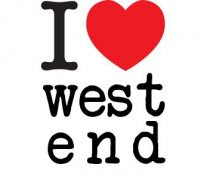 We've been residents of West End for some time now, and we love living here for many, many reasons. We own a humble little worker's cottage in original condition (which is a rarity these days) on a small lot down near the river in a lovely, quiet suburban street. We've spent a good part of the last 4 years working with various architects and Council trying to come up with a design that is appropriate and functional. From the very beginning, we were adamant that any addition would be respectful to the original character house. We wanted something beautiful and well-crafted and modest in size, as not to take up valuable outdoor space. And, of course, it had to fit within our budget. When we bought the house, we only had one child - now we have four. So now the house has to accommodate six people. So how do you fit a family of six into a four-room cottage? Please join us and watch this project unfold - I'll be wanting lots of advice, especially when it comes to decorating. We'd love to hear from you, so if there's anything you want to know, or if you just want to say hi, drop us a line. I'm Lacy from Living on Love. I also write for Disney Baby. I'm getting ready to do a project on the 52 Project from Che & Fidel. I would LOVE to use a photo or two of yours for the post. I would of course link back to your blog. Just let me know! Hi Caroline. I love your reno posts because they are very informative. . I’m really interested in renovation/home decor because I work for a social media site that’s all about houses/homes and is about to release an online renovation tool. Would you use something like this? Email me privately at info@housenet.com.au & I'll give you more details. Would you be interested in possibly having a chat with me for the West End Magazine? My email is leah_carri@hotmail.com. Hi Caroline! I love your blog;). We have rascal boys and a white queenslander that doesn't fit us! Would love to hear more about your experiences, especially now I and v and peters have split. My email is rosalindmcrawford@hotmail.com. Thanks so much in advance! Hi Caroline - I've been trying to find who can refresh our existing chain blinds - and your blog helped me to find Thurlow Blinds - thanks for the help!